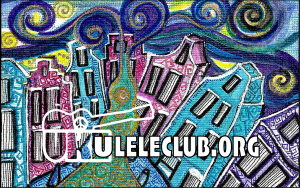 Why should you become an official Ukelele Club Amsterdam Card holder? For €150 you’ll be a lifetime member of the Ukelele Club Amsterdam. Where can I buy this cool Club Card? You can buy it directly in the webshop of UkeBoutique Amsterdam.